Can you combo Kin-Tree Invocation and Shape the Sands? 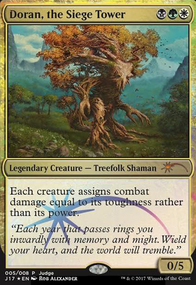 Does trample apply to creatures affected by Assault Formation? This is a great new addition to the deck! I think it immediately takes the place of 2 Assault Formation at least. The fact that you can heal with it immediately makes me much happier to hit a second or third one compared to when I hit a second or third Assault Formation. PlatinumOne you can't just assume that just because a player has 5-6 mana they will have enough to pay Assault Formation 's cost. 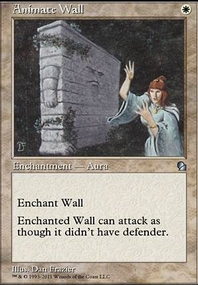 While yes, the deck should have both because the redundancy is needed, maybe by the time they would hit 5-6 mana they wouldn't have enough or have more than the 5-6 defenders. 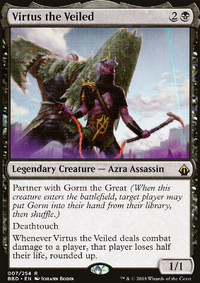 Also, maybe they are playing against something like Martyr, so they really need all of their creatures attacking to win. No, one isn't strictly better than the other. But High Alert is better in the example you gave. PlatinumOne sure they both work in a vacuum but one is clearly more mana intensive than the other. If your goal is to make your defenders lethal against an opposing creatures then Assault Formation would be better but if your goal is to eventually go on the offense (which it should be) then High Alert is strictly better depending on how you define the late game and how many creatures in your deck have defender. 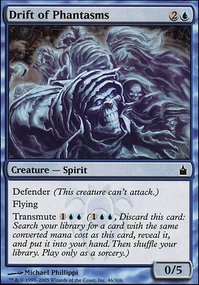 If you determine that you can effectively stall until you have 5-6 mana up then (which you should be able to, if not it's not worth playing this strategy) then alert is the better choice assuming that the majority of your creatures have defender. their mana costs are both fine for modern. High Alert isn't too much more of a commitment than Assault Formation to worry about. the deck should probably use both. theres no reason you "have" to choose just one. running both means you have a better chance of drawing your enabler for your defenders, and gives you more backup chances to draw one if the first gets destroyed. SeekerofSecrets: both work in a vacuum because not every creature in the deck should have defender anyway. Lately I've been fascinated around designing decks based on defender in combination with either Assault Formation or High Alert and Tower Defense as a potential late game win condition. I'm a bit torn between the two because of there CMC and similar effects. 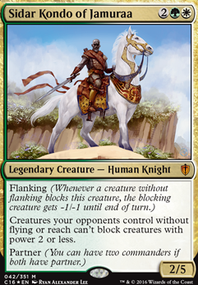 However because of high alert's slightly higher casting cost it would appear to be more of a commitment to cast then Assault Formation , at least because of moderns overall lower Mana costs per card. I just wanted a second opinion based on two decks I have constructed below, thanks again!